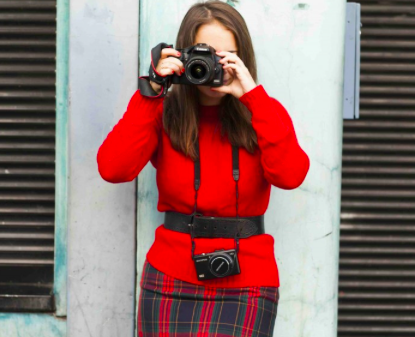 Grazia Street Fashion Week – Vote Cardiff! Grazia magazine launched a style battle challenge recently, to find the UK’s chicest city. The Grazia team came to Cardiff last week, as part of a whistle stop tour of seven cities, in a bid to find the UK’s most stylish locations. The weekly fashion glossy pounded the pavements,tracked down the best looks and loved what they found. So the photos of the seven capital’s most stylish are in and it’s now time for us to support our Cardiff girls and help get them crowned the UK’s best dressed! The public can now vote for their favourite city on Grazia Street Fashion Week. The city which receives the most votes will earn the title ‘Best-Dressed City’. Everyone who votes will be in with a chance of winning TONI&GUY Hair Meet Wardrobe styling product sets with £50 RRP and one of five £50 Warehouse vouchers. Voting closes midnight 12th October, 2012, so get voting NOW!